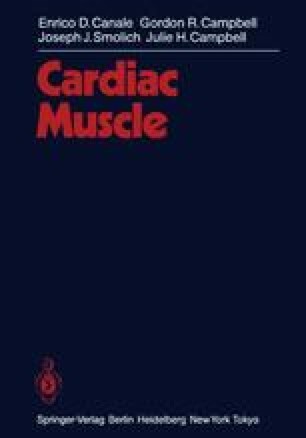 Quantification or ‘morphometry’ of cardiac muscle can be performed using a variety of indices. In recent years much attention has focused on ‘stereology’, and many excellent texts and articles describing the methodology and underlying theory are now available (see Aherne and Dunnill 1982; Loud and Anversa 1984; Weibel 1979; Williams 1977). This technique is applicable at the tissue, cellular and subcellular levels, and provides a wide range of quantitative parameters including volume fractions, surface area to volume ratios, and numerical densities.